It is an app which allows you to pick various “lenses” (or angles/points of view) from which you look at the design of your game. 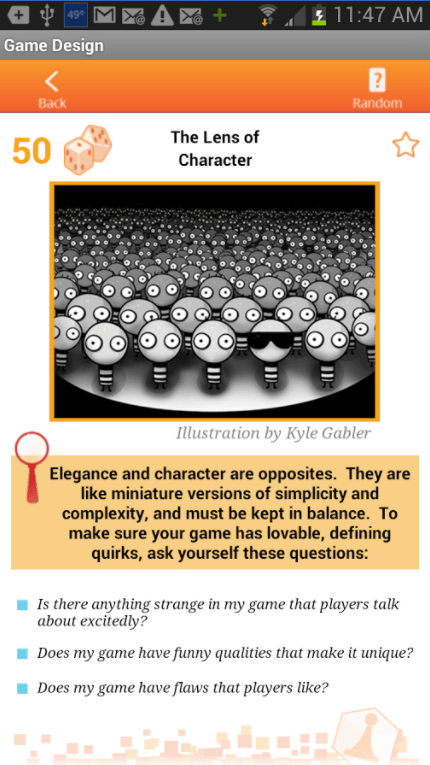 These are questions which you should ask yourself to make your game better. There is also a Twitter bot account you can follow to receive these questions right into your feed! 🔎 Time. Are my players bored because the game (e.g. Pay Day) goes on for too long? How can I change that? Got a practical app or software for gamedevs? Have a book to recommend?